Dakota Johnson at the LACMA 2013 Art + Film Gala in L.A.
Dakota Johnson at the 2014 LACMA Art + Film Gala in California. Dakota Johnson at the 'Charles James: Beyond Fashion' Costume Institute Gala in New York City. Dakota Johnson at the seventh annual Veuve Clicquot Polo Classic in Jersey City. Dakota Johnson at the 72nd Annual Golden Globe Awards in California. Dakota Johnson and guest at the LACMA 2013 Art + Film Gala in California. Dakota Johnson at the LACMA 2013 Art + Film Gala in California. Dakota Johnson and Ethan Hawke at the 72nd Annual Golden Globe Awards in California. 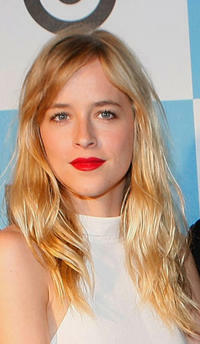 Dakota Johnson at the 2008 Los Angeles Film Festival in California. Dakota Johnson at the "Hero: A United Nations Association Campaign" benefit reception in New York. Melanie Griffith and Dakota Johnson at the 30th anniversary Carousel of Hope Ball to benefit the Barbara Davis center for childhood diabetes in California. Dakota Johnson at the 30th anniversary Carousel of Hope Ball to benefit the Barbara Davis center for childhood diabetes in California. Dakota Johnson at the California premiere of "Trembled Blossoms." 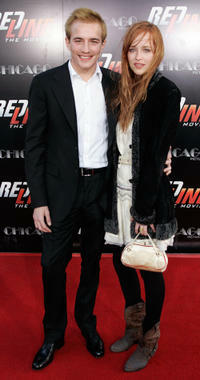 Jesse Johnson and Dakota Johnson at the California premiere of "Redline." Jesse Johnson and Dakota Johnson at the 2008 Los Angeles Film Festival in California. Dakota Johnson and Eva Amurri at the "Hero: A United Nations Association Campaign" benefit reception in New York. Dakota Johnson at the New York screening of "Fifty Shades Of Grey." Dakota Johnson at the California premiere of "21 Jump Street."